watercolour – Caramany This post is about my week in Caramany, a small, ancient hill top village – in the Pyrenees-Orientales department in southern France. A very beautiful area. My friend the artist Suzy Davidson (www.suzydavidson.com) – has been renovating an old ruin there for the past nine years …..all of this done whilst living in South Africa and and Malaysia. Quite a feat. On her regular visits, she has managed to organise builders, and much more…..and being a hands on person has done a lot of work herself, including building walls…. I left London just before the ‘Beast from the East’ descended on the UK and Europe. For the first three or so days it was freezing cold. Fortunately Suzy had just installed two wood burners! Suzy between house and atelier. Initially it was too cold to paint outside (we actually woke to a dusting of snow one morning!) – and so I painted some interiors, plus portraits of the local Caramany people – again an excellent way to connect with people and to learn about a place. A very warm spot next to a wood burner (now shown in this picture:) A rapid sketch from open window. Built into rock, the community sits on many levels. I took this photograph overlooking the courtyard to Suzy’s house with the ravine, village and hills beyond. There are 150 full time residents – (during the summer months this number grows) Through Suzy, I was able to meet some of the locals who not only made me very welcome but also provided in one case a delicious typically French five course lunch, and in another a superb evening meal. Marie – a multi talented lady. – watercolour Seven year old Capucine – watercolour By mid week the sun was shining and in sheltered spots it was very warm. I actually enjoyed my first al fresco lunch of the year. Part of the village in mild sunshine. Remy – Caramany resident – watercolour Vivi – wife of Remy – watercolour I certainly hope to visit Carmany again during a warmer period when I am able do much more plein air painting. I believe that Late April/May or September/October would be perfect….as I think the summers might be a little too hot for my liking. Perpignan is about a 35 minute drive from Caramany, and so it was here that I caught the first train on my way to Lorient in Brittany. Other than the initial local train, I was travelling by TGV – the superb French train system which travels at high speeds and for the most part is very efficient. Between Perpignan and Narbonne – I was able to see the lagoons with Pink Flamingos….what a treat. After a quick change at Narbonne onto Toulouse, – Toulouse to Paris and Paris to Lorient where Elisabeth and Herve were waiting for me. The train was right on schedule. It sounds like a long day, and it was but given that the trains are so comfortable and everything on schedule….it is a far better way to travel than flying!. An excellent opportunity for reading, writing, thinking and people watching. A rapid watercolour/gouache in my sketch book looking down on the reservoir beneath Caramany….It was extremely windy and cold that day. .
Now onto my next trip where I will be giving a workshop at the beautiful school in Olhao Portugal http://www.artinthealgarve.com starting Wednesday 18th April…. I have a limit of 12 for these workshops and am fully booked for September. At this time of year, especially after our very cold spring, the thought of arriving at the School is such a treat. The top of the old olive tree that grows up through the centre of the School….simply beautiful. This entry was posted in Uncategorized and tagged al fresco dining, Beast from the East, Caramany France, carcassonne, euro star train paris to london, lagoons between Perpignan and Narbonne, Lorient Brittany, magical hummingbirds, Narbonne, Perpignan, Pink Flamingos, plein air painting, Ploeumeur Brittany, Pyrenees-Orientales Department, renovating ruins in France, southern france, suzy davidson artist, TGV trains france, www.artinthealgarve.com, www.jantweightreed.co.uk on March 26, 2018 by janetweightreed10. One of the group sketching on Armona Island….. People who sign up for courses at the School in Olhao – http://www.artinthealgarve.com come for several reasons, – yes of course the possibility of sunshine and being with like minded people, but for most it is to explore the creative process. All levels of ability and experience are welcome. Those that attend my courses usually come to ‘loosen up’ and so today I am going to talk about the process I use to help people to do this. I begin the day with one or two quick demonstrations….an example of one. At this point it doesn’t matter what the subject is, the key is to open one’s eyes and begin to see so that we ready ourselves for the day’s sketching and painting. A goal of mine is that each person take home with them one or two new tools/techniques. Something as simple as learning what your brush can do is vital information. Understanding how different papers re-act….and so on. By allowing ourselves to play we learn these things. I emphasise the use of sketch books throughout the week to record both images and notes. A warm up sketch by one of the group showing me giving a demonstration…love this After the morning warm up, each person then decides where they would like to sketch. Some choose to stay within the School with its endless supply of inspiration….or to go out into the surrounding alleyways and town…..all within a minute’s walk of the School. For those who have never enjoyed plein air sketching, this can be somewhat daunting, but I find that once people take the leap…..they quickly learn to enjoy the experience. A sketch by a member of the group who came for the first time last year and had never sketched before…….now she can’t stop…. After plein air work some members of the group bring their sketches back to the studio setting where they continue to develop their work. This lovely watercolour from Jayanthi was taken from one of her many sketches from the Saturday Market. Those who have followed my blog will know that I believe the creative process in its many forms is the key to mental, physical and spiritual wellbeing, and so the week in Olhao is not only learning about new tools and techniques, but also experiencing those moments of deep contentment and wellbeing that the creative process can bring. From one of the groups sketch book I believe that by loosening up we advance our observational skills. Regardless of what kind of work we would like to develop,….the loosening up process will help you to reach your goal. It’s important to remember that when plein air sketching…technique comes secondary to observation. Observation is not just about looking, it’s about seeing. Therefore, rapid impressions of the subject helps us to actually see what it is we are looking at…….then if we wish to refine a sketch…..so be it. After a morning of sketching – we then join together for lunch at 1 p.m.
Each tutor has their own way of doing things, but I always have a two hour free period after lunch. Some like to take a siesta….others to go out and about around the Town – observing life….etc. but it seems to work work well. At 4 p.m. we come together again in one of the courtyards where I give another demonstration. Two of the group this year were Botanical artists…..and so loosening up for them was a totally different experience. They both jumped in wholeheartedly….allowing themselves to break free from their normally, very beautiful and detailed work. One of the loveliest compliments I received from one of the ‘Botanicals’ (as they were dubbed) was at the end of the course when she expressed how much she had gained from the loosening up process. One of my afternoon demonstrations…using one of the group as a model We then work from 4 p.m. til 6 ish. I am very aware of body clocks and rhythms and so do try to plan a day where people have time to renew and organise thoughts. At 6 – 6.30 ish people freshen up and prepare for the evening meal….which is always filled with much conversation, – a vital part of the week. Sometimes the meal is taken at the School….freshly cooked by the wonderful Margarida.….or we go to a local restaurant….again just minutes walk from the School. You can just see her bump in this large water colour demonstration I did last year. Here she is with the beautiful Charlotte….A woman of many talents…. And….lovely Joanna, who does the housekeeping and makes our breakfast every day, brought the twins to see us….who have grown so much. The twins….part of the School tapestry…. I couldn’t possibly finish this post without sharing the beautiful portrait of me drawn by six year old Beatrice…. (sister to Charlotte)….I will always cherish this. My choice to day is to Soar above all the madness with the magical hummingbirds…. This entry was posted in Uncategorized and tagged armona island portugal, artist need to warm up, body clocks, botanical artists, children's art, ciestas, http://www.artinthealgarve.com, janet weight reed dazzle hummingibrds, janet weight reed loosening up process, learning new techniques, like minded people, loosening up with watercolour, magical hummingbirds, margarida art in the algarve, olhao portugal, painting demonstrations by janet weight reed, Playing with wateroclour, plein air painting, sketch books, technique secondary to observation on May 10, 2017 by janetweightreed10. ‘What is this life if, full of care, We have no time to stand and stare. No time to stand beneath the boughs And stare as long as sheep or cows…….’ from the poem ‘Leisure’ – by William Henry Davies. Plein Air painting affords us the opportunity to stand and stare. As we observe the ever changing light, we become present to the sights, sounds and smells that surround us. After a while we become one with our subject and with that comes a sense of wellbeing. Kent landscape – watercolour/gouache This post is to encourage those who might feel a little nervous of painting in public, to throw caution to the wind, and give it a go……..
2) A limited palette. – I take seven colours….and could easily cut down to four. 2) Some people prefer a sketching stool….I look for steps, walls, benches, rocks…. 4) snack and water to drink. 5) Optional – a camera to use as reference for future studio work. Note that in this photograph I have found a table…. (I was staying with good friends in Wales) Also note the plastic bag on the table. Normally for cosmetics it’s compact, has a zip and a handle, and makes for finding a brush or a tube of paint quick and easy. Perfect for plein air sketching. Overlooking the Usk Valley where the Black Mountains and Brecon Beacons National Park meet….. One of the watercolours I painted during that visit. I plan to return again this year and do many more sketches there. It’s important to remember that when painting outside technique comes second to observing the essence of the subject. The aim is to capture a sense of place…rather than every detail. In this quick felt tip pen and watercolour sketch from Mas Cabardes S. W. France….I picked the essential components of the scene….capturing an idea of place. When I painted this rapid watercolour/gouache sketch, I was on the edge of a 4,000 ft cliff overlooking the white village of Zuheros, Andalucia, Spain, with forests and olive groves going off into the distance. It was very windy, and numerous lion eagles were flying overhead. An extremely exhilarating moment. It is all too easy to be overwhelmed with the visual feast set before you, and so again the key is to pick the essential components. In this instance, I used blocks of colour…rather than any detail. From a pocket sized sketch book – Fishing boats on Armona Island, Portugal….. I remember this vividly. I was in Portugal and the sun was setting over the hills….and I needed to capture the moment…and so again there is no detail whatsoever – just my feeling of what was happening. watercolour. I sketched this on a boat in Kinsale Harbour, County Cork Ireland.…and the colours were just like this…..Often when working in sketchbooks, I join up the pages as you can see here. Another very happy moment. I was with my dear friends Mariethe Salort (artist) and Bonnie Halsey Dutton (artist). We were celebrating July 4th that day and sketched this village – Courrier-sur-Sein – not too far from Paris……watercolour/gouache. I remember there were lots of little boys who wanted to get in on the action. 🙂 From a pocket sized sketch book off the coast of Akyaka, Turkey. watercolour. If you have not done anything like this before and are nervous to go it alone….there are groups you can join….or art associations that organise days of plein air painting for all levels, including beginners. I can not recommend it enough….. This entry was posted in Uncategorized and tagged armona island portugal, art in the algarve, bonnie Halsey dutton artist, brecon beacons national park, cleopatra island, courrier sur sein, http://www.artinthealgarve.com, july 4th celebration. marie the salt artist, kayak turkey, kent landscapes, lion eagles spain, magical hummingbirds, mas canardes s w france, Monet's garden governs frrance, plein air painting, plein air painting groups, plein air painting in Wales, poet, william henry davies, zuheros Andalucía spain on March 15, 2017 by janetweightreed10. An Opportunity to Paint in Albania – Albo Fine Art. I first came across Albo Fine Art on twitter. I liked the ethos of the Gallery and given that I have not visited Albania, it was an opportunity for me to learn something about the country and the artists who live and work there. I developed a conversation with Thoma Blana – artist and founder of the Gallery, who told me of his plans to offer painting holidays. I usually write about places that I have visited, however in this case, it has meant doing some research and what I have found has bowled me over. I have learned that Albania is definitely a place I would like to visit and clearly a country that is coming into its own as a tourist destination – and a superb location for artists. The following is an overview of the seven day holiday: – The first one will be next month – March 2017. If this is too short a notice, maybe now is the time to think about next year’s programme when I plan to be part of the group. Catering to both amateur and professional artists, participants will enjoy plein air painting guided by Sadik Kasa, Professor at the Academy of arts, Albania. Basic art supplies will be supplied and a translator will be available. Pogradec is on the Albania/Macedania border and is located on the shore of Lake Ohrid. Lake Ohrid – straddling the mountainous border between southwestern Macedonia and eastern Albania, Lake Ohrid is one of Europe’s deepest and oldest lakes, preserving a unique aquatic ecosystem. After a comfortable nights sleep in air conditioned and well appointed hotels, the group will enjoy breakfast followed by a morning of plein air painting. After enjoying lunch in local restaurants, galleries and other places of interest will be visited for the remainder of the afternoon. Albania has beaches to rival any elsewhere in the Mediterranean. As you can see from these photographs – the landscape and subject matter is diverse. Along with meals in local restaurants, evening entertainment will be on offer. On one evening, the group will enjoy Albanian folk musicians and towards the end of the week there will be an art exhibition and gala evening at the Albo Gallery. An excellent opportunity for the Group to show the work they have produced during the week, and at the same time learn more about their Albanian counterparts. ‘Albania has natural beauty in such abundance that you might wonder why it took 20 years for the country to take off as a tourist destination since the end of a particularly brutal strain of communism in 1991. So backward was Albania when it emerged blinking into the bright light of freedom that it needed two decades just to catch up with the rest of Eastern Europe. Now that it has arguably done so, Albania offers a remarkable array of unique attractions, not least due to this very isolation: ancient mountain codes of behaviour, forgotten archaeological sites and villages where time seems to have stood still are all on the menu. With it’s stunning mountain scenery, a thriving capital in Tirana and beaches to rival any elsewhere in the Mediterranean, Albania has become the sleeper hit of the Balkans. But hurry here, as word is well and truly out.’ Lonely Planet. And then there is the country’s rich history. The group will see ancient mosaics and murals, along with icons from the Byzantine Orthodox tradition….and so much more. Icons in Berat – UNESCO site. The more I learn the more interested I am to visit this country. Apparently, traditional Albanian culture honours the role and person of the guest. In return for this place of honour, respect is expected from the guest. I like this very much. For anyone interested in taking up this opportunity here are contact details. You can also find Albo Fine Art on FB and Twitter. I will look forward to visiting Albania next year and hope others will join me. This entry was posted in Uncategorized and tagged Albanian folk music, Albo Fine Art Gallery Albania, antiquity of albania, byzantine orthodox tradition icons, Korca Albania, Lake Ohrid Albania/Macadamia, Lonely Planet, plein air painting, Pogradec Albania, the icons of Albania, tourism in Albania recommended by Lonely Planet on February 8, 2017 by janetweightreed10. It’s so easy to become overwhelmed when plein air painting. So much to observe – where to begin? To overcome this, I suggest painting details – or vignettes of the subject. These rapid sketches help to focus the eye and mind. Rapid watercolour sketch….focusing on the negative space. Consider that making these quick sketches is like an athlete or dancer warming up. Along with providing information they hone observational skills. Note that all the whites in this image, including the calla lily are dry, white paper. By adding darks around the Calla Lily into the negative space – the lily is revealed. 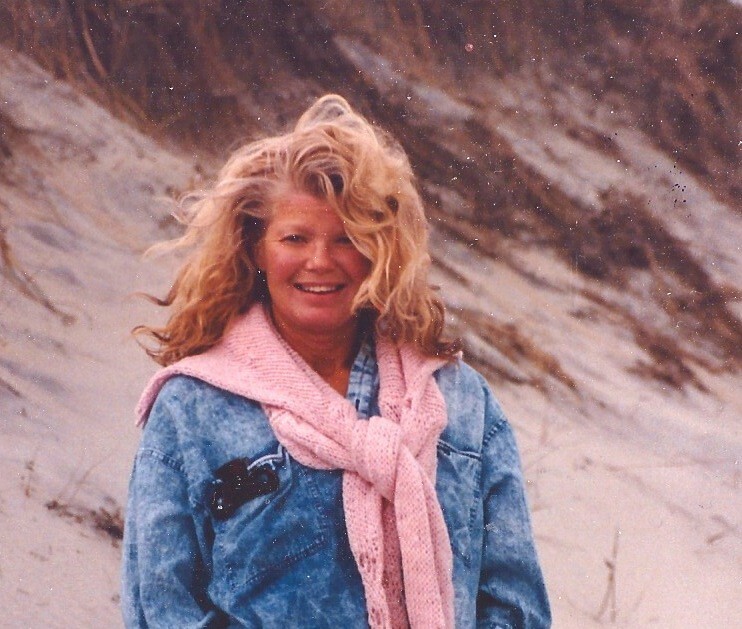 I can hardly believe that another weekend is upon us….reminding me once again that time is our most precious commodity. 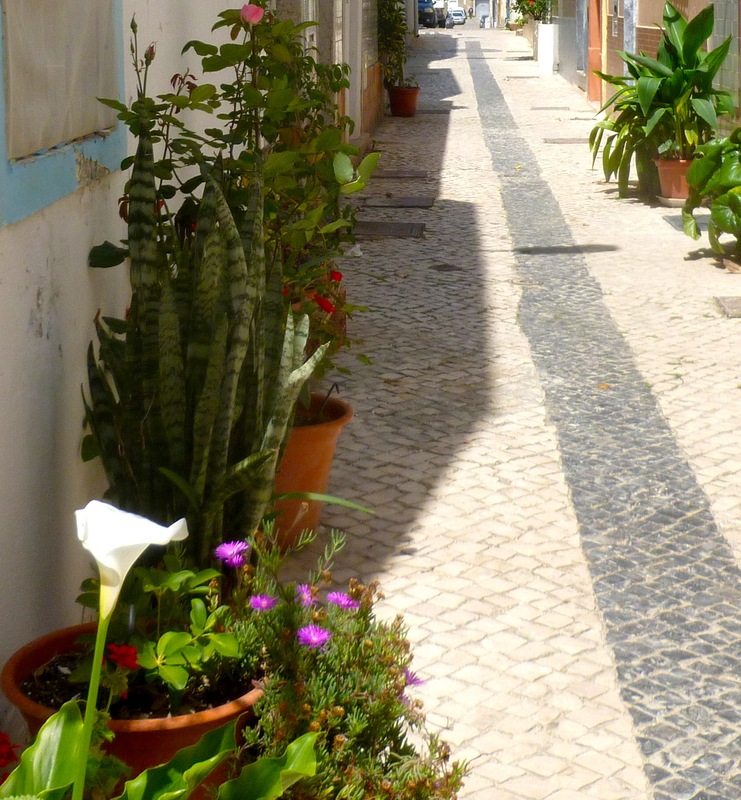 This entry was posted in Uncategorized and tagged alleyways of olhao portugal, allowing the subject to be revealed, cala lily in the alley, HummingbirdHQ.com, magical hummingbirds, negative space painting, plein air painting, rapid watercolour sketches, vignettes focus the eye and mind on May 15, 2015 by janetweightreed10. These four plein air watercolour/gouache sketches were painted during some very happy moments in France. I can paint water reflections all day long….There’s something about disappearing deep down into the reflection. From the day I painted in Monet’s Garden after all the tourists had gone home….what a gift. 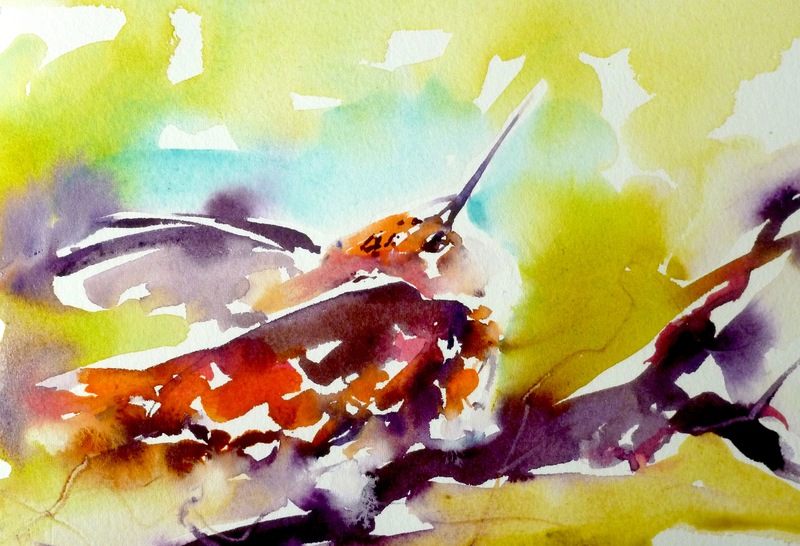 And of course a colourful, Magical Hummingbird….. 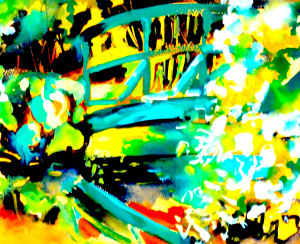 This entry was posted in Uncategorized and tagged colour moods, HummingbirdHQ.com, janet weight reed colourist, monet's garden giverney, plein air painting, sw paris, water lilies, watercolour/gouache paintings by janet weight reed on December 2, 2014 by janetweightreed10.